Leah’s goal is to guide you every step of the way in today’s complicated real estate market! Whether you are a first time buyer, an experienced investor, or trying to short sale your home…Leah has the knowledge and means to help you. She stays continuously involved in real estate education courses which keeps her fresh, current and knowledgeable on the latest information, programs and real estate market trends. Did you know that there are down payment and closing cost assistance programs out there to help you purchase a home? Or, did you know that there are programs out there that will pay you to short sale your home? Leah knows about these programs and more that may be available to you. Buying and selling a property nowadays is no longer a traditional buy-sell transaction. It is highly specialized and can be challenging but having guidance from a local Arizona Realtor such as Leah, experienced in all the intricacies of the process, is imperative. For example, one would not want to get stuck paying past due HOA fees or property taxes because of poor realtor representation. Leah knows the in’s and out’s of working not only with buyers and sellers, but also with the banks, HUD, and mortgage servicing companies that hold the loans or the foreclosure properties and she is here to ensure that your real estate experience is enjoyable and as stress-free as possible. Leah has a passion for real estate and takes great pride in everything she does and offers highly personalized service. She works hard for you so you don’t have to and thrives on providing resources and personal time to helping clients! Growing up around the real estate industry and being an experienced and successful investor herself, Leah knows firsthand what it takes to get you the most for your money. Whether your desire is a million dollar estate or even a small condo, Leah knows how to get you what you want! 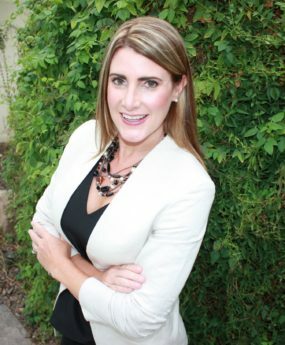 Her educational experience (both Bachelors and Masters Degrees), her experience as a business owner that gained her a business savvy attitude, and her own personal experience with real estate investments both in and out of the U.S. are just the elements you need in a Realtor to get the job done. With Leah at your side, now is the time to take advantage of the current market, low interest rates, and incentives/programs being offered. Leah is the real estate professional you need and she looks forward to working with you when you are prepared to buy or sell a home. Please contact Leah Hamman for all of your real estate needs.